Admission is free, but tickets are required for opening night. Step back in time with us as we explore the history of the LGBTQ movement before Harvey Milk. This exhibition will display a visual record of notable LGBTQ+ individuals, focusing on archived photographs with supporting works of original art in various mediums. Iconoclasts. Heroes. Trailblazers. Changemakers going against the status quo will be the topic of discussion for our panelists on opening night. Join us as we pay homage to the work and lives of those who have left an indelible mark on the world. The event is free, but space is limited, so be sure to get your tickets. Queer history is rich with examples of strength and resiliency in the face of fear, rejection, violence and hate. As the 50th anniversary of the Stonewall Riots quickly approaches, we are reminded of those who actively fought for our humanity and the right to live as our authentic selves. The following photo exhibition is intended to showcase American LGBTQ+ history from the 1890s to the times of Harvey Milk. Let our history serve as constant reminder of the hardships we have overcome and the progress we have yet to make as a community. 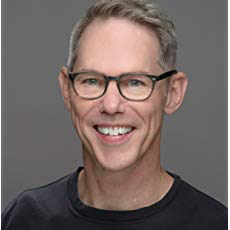 His first book, The Lavender Scare: The Cold War Persecution of Gays and Lesbians in the Federal Government, (University of Chicago, 2004) won three awards, including the Herbert Hoover Book Award and the Randy Shilts Award for Gay Nonfiction. A documentary film version of The Lavender Scare by Emmy-award winning director Josh Howard has appeared at over fifty film festivals and won over a dozen best documentary awards. Johnson has held fellowships at the National Humanities Center, the Smithsonian Institution, the Social Science Research Council, CUNY’s Center for Gay and Lesbian Studies, and the Leather Archives and Museum. K.L Broad has a PhD in Sociology (1998) from Washington State University and is currently an Associate Professor, jointly-appointed with the Department of Sociology and Criminology & Law and the Center for Gender, Sexualities, and Women’s Studies Research at the University of Florida. 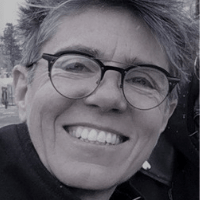 Dr. Broad’s research focuses primarily on analyzing interpretive and identity work of social movements, especially in relation to sexuality, race, and gender. Presently Dr. Broad is working on a research project tracing how a group of gay men in the 1980s articulated and constructed their anti-racist work. Dr. Nick Clarkson is an Assistant Professor of Gender Studies at New College of Florida. He earned his PhD in Gender Studies from Indiana University in 2015. 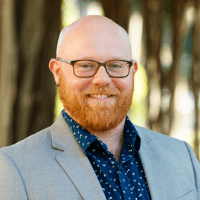 His current research examines into the relationship between trans and non-trans gay masculinities to find possibilities for imagining more feminist masculinities. His research and teaching interests include: trans studies, feminist theory, LGBTQ history and politics, masculinities, surveillance studies, and the politics of HIV/AIDS. He has published articles in the journals Feminist Teacher, Archives of Sexual Behavior, and Transgender Studies Quarterly, and in Mattilda Bernstein Sycamore’s anthology Why Are Faggots so Afraid of Faggots. Our talented research team has searched archives and digital collections for months, hand-selecting an assortment of historical photographs, pamphlets, and manuscripts for this very special exhibition. Exhibition materials are drawn from Stonewall National Museum & Archives, Lesbian Herstory Archives of Brooklyn, NY, and more. The research team is headed by Grace Korley, HMF Outreach and Education. Grace has worked closely with New College of Florida students and HMF interns Freddie O’Brion, Emily Garcia, and Mackenzie Timms to bring this collection to our HMF audience. Get Harvey Milk Festival updates straight to your inbox!